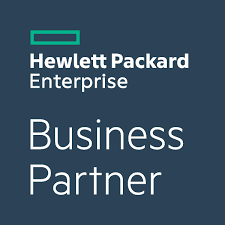 The Partner Community is comprised of systems integrators, consultants, ISVs, OEMs, platform and solution providers that together create a vibrant value-added network for our mutual customers. Whether you need an off-the-shelf integration or a custom implementation for your unique environment, VANTIQ’s solutions enable you to capitalize on the impact of smart systems today and the potential it holds tomorrow. Click here to learn more about becoming a VANTIQ partner! NRG-Edge provides a financial services advisory platform to enable commercial banks to profitably institute a compelling financial advisory strategy for a larger set of their customers. By becoming providers and aggregators of financial services that span deposits, loans, insurance, investments and life planning tools and services, banks can significantly grow and enhance their customer relationships with a high degree of affinity and stickiness. Nexworld is a Paris-based consulting leader in digital transformation. It helps companies modernize their information systems in response to the new challenges of the digital economy, whether it is consulting or implementing their strategic projects. Its market expertise in IoT, Big Data, machine learning, APis, ESB and its extensive experience of enterprise architectures are unanimously recognized by leaders in the banking, insurance, finance, energy, transport, telecoms and large pharmaceutical companies. parcs IT-Consulting is a well-established IT consulting company, headquartered in Germany. Founded in 1998, it has a proven track record of providing top-notch consultancy services to companies and organizations from a wide range of industries including travel, transport & logistics, telecommunications, information technology, banking, retail, insurance and the public sector. parcs’ core competencies include requirements engineering, software development & integration, data analytics, and real-time business applications. Quenta Solutions collaborates with customers on high-priority, technological projects, optimizing technology and infrastructure and focusing on strategic objectives and Digital Transformation. Quenta Solutions cooperates in all priority technological projects for customers, optimizing all infrastructure and focusing on strategic objectives. Vanyan Solutions is focused on driving competitive advantage for its customers and partners by providing strategies, insights and proven solutions and technology to drive their digital transformation and deliver innovative products and services to market. The RoviSys Company is a leading independent provider of information management solutions, manufacturing automation solutions, control systems integration, building automation, and enterprise and industrial networks. Since 1989, RoviSys has built a reputation of quality, continuity, technical expertise, and attentive customer service. RoviSys is distinctly qualified to deliver solutions that drives productivity, improves product quality, increases asset utilization, and integrates technology. Software Route (SWR) is an Israeli based company founded in 2006 that specializes in software distribution and business development services. SWR distributes IBM Software Group products within the High Tech community, providing deep, embedded, long-term agreements to its customers. SWR focuses on developing software companies through initiation, leading, and support of mergers, acquisitions, business alliances, partnerships, and make or buy processes. incontext.technology is a software engineering company with a passion for user-centric and data-driven product development. Their mission is to bring more business value and save people’s time with artful and sustainable data science analytics and design. They identify use cases and build software leveraging components for big and fast data. Arch has specialized in SAP solutions for 20 years and has extensive experience of SAP technologies and SAP usability. Their products have been successful in the previously niche market of SAP User Experience (SAP UX), supporting millions of business transactions over 10 years. The software Arch develops brings together the power of SAP processes and data with the simplicity of user-friendly interfaces. OSIsoft delivers an open enterprise infrastructure, the PI System™, to connect sensor-based data, systems and people. The result is real-time, actionable insights that empower companies to optimize and transform their business.